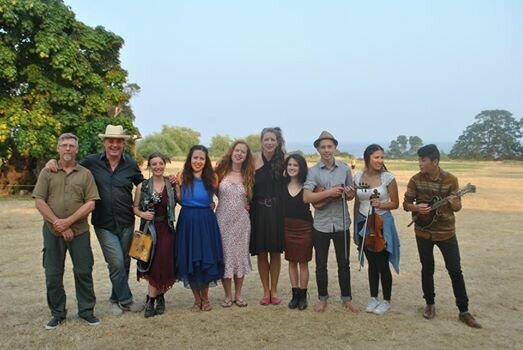 HORNBY SCHOOL FOR EMERGING ARTISTS 2019! APPLY NOW! Now accepting applications for students for the Hornby Festival school of emerging artists! Festival performance experience on the stage of the Hornby Festival! The embedding of this experience in a successful music festival to add to the inspiration and learning. We are grateful for the financial support from private donors, Creative BC and the BC Rural Dividend Fund who all make this program possible. This practicum is intended for high-level, emerging musicians (players of any portable instrument, vocalists/singer-songwriters) looking to launch their career as touring professionals. In this intense, innovative, practical immersion experience, you will work on all aspects of what it takes to make music your career – from your musicianship, to practical business guidance, to performance experience on our Festival stage. Throughout, you will work in a group environment with a nationally recognized, internationally touring, highly skilled artist as your lead mentor. You will also receive instruction and guidance from each of the other mainstage artists who will be performing as part of our Festival on the dates of your practicum. You will receive sessions from our highly skilled Festival staff on subjects such as: how to approach grant writing, what you need for promotional materials, how to approach applying for performance opportunities, developing your technical rider, stage plot and hospitality riders, advice on recording, getting your gear together for touring, and more. Who is this for? We are looking for students who have reached a high level of proficiency on theirs instrument and are aspiring professional musicians – musicians on the cusp/nearing the cusp/or just over the cusp of touring/recording careers. Players of any portable instrument are encouraged to apply as well as vocalists/singer-songwriters. We will be selecting 10 – 15 students and hope to have a blend of backgrounds and instrumentation. Tucked in the Salish Sea, our community will feed your creative energies. 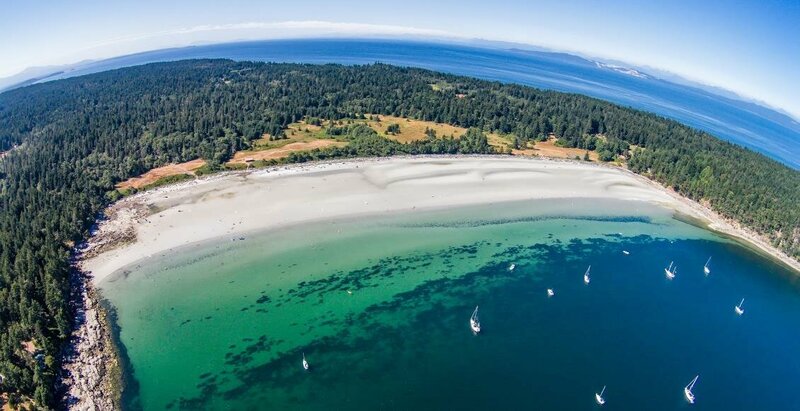 Renowned for its natural beauty, Hornby Island – “the jewel of the the gulf islands” – is a world of sandy beaches, lush forests, and picturesque farmland. It is also a recognized creative mecca – home to many professional artists with active careers in dance, music, literature, the visual arts, production and theatre. We attract thousands of visitors seeking creative/natural beauty experiences. All students will stay at the Hornby Island Dive Lodge. The Dive Lodge is located on two acres of property at picturesque Ford Cove. It is comfortable but simple – bright and cosy with lots of skylights and great views of the ocean, mountains, sunsets… It is the ideal space for this practicum as there are many communal spaces for instruction, jamming and socializing. 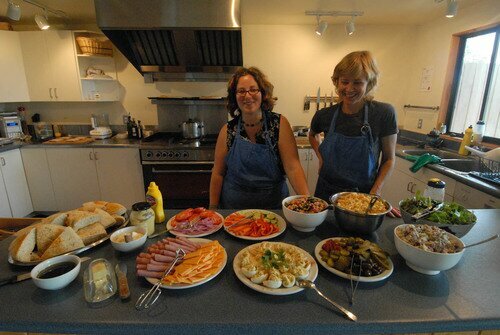 Delicious, healthy, homemade meals are prepared by experienced cooks. Breakfast, lunch and dinner are covered in our accommodation fee to allow for optimum learning time. If you have food allergies or special dietary requirements, please notify us before you arrive. All our our instructors are high level professionals currently and successfully making their careers in the music industry. Supporting Mentors – Students are assigned a mentor who will work with them throughout their stay. All of our musicians who will be performing on our mainstage during the practicum will give a session to you on musicianship/career guidance. So, not only will you be learning from your mentor, you will have access to three other internationally touring bands/musicians. Technical input – Our Technical Director, Adrian Dolan (multi-instrumentalist, producer and sound/lighting engineer) has extensive experience in the technical world. He will give one session on developing your tech rider/stage plots/having appropriate gear for touring as well as working effectively with a sound technician, advice on where and when to record and how to prepare, etc. Administrative input – Our Artistic Director, Dierdre Atkinson, will give a session on business steps towards career development which will include grant writing, applying to festivals and concert halls, promotional material, working with the media, etc. Promotional material that works – Graphic Designer, John McLachlan, will give a session on how to know where to put your energy and resources in this potentially very expensive but necessary part of self promotion. How to get the most impact for the best price. John will also teach a session on a tried and true approach to managing finances as a musician. Please download the 2019 School Schedule, subject to change.